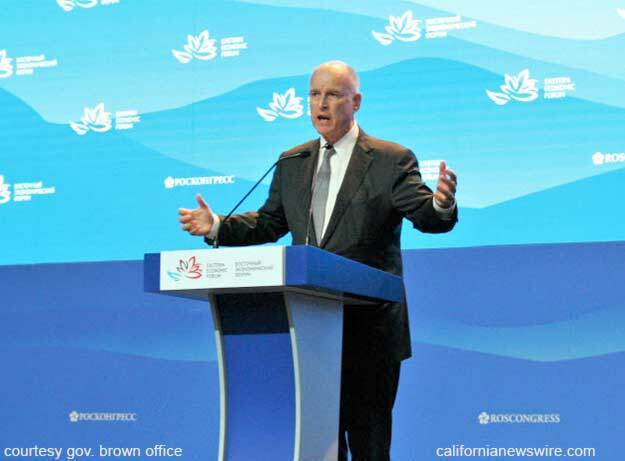 SACRAMENTO, Calif. /California Newswire/ — This past week, on April 19, Calif. Governor Edmund G. Brown Jr. announced the following appointments: First, Frederick J. Just, 60, of Riverside, has been appointed administrator of the Veterans Home of California, Yountville. Just held several positions at Kaiser Permanente from 2005 to 2017, including assistant hospital administrator, transition director and director of facilities services for the Kaiser Permanente Fontana Medical Center and for the Kaiser Permanente Ontario Medical Center, and assistant hospital administrator and area safety leader for the Kaiser Permanente Modesto Medical Center. He was director of construction and engineering at the Tri-City Medical Center from 2002 to 2005 and director of construction and plant engineering at the Firelands Regional Medical Center from 1994 to 2002. Just is a member of the American College of Healthcare Executives. He earned a Master of Advanced Studies degree in leadership of healthcare organizations from the University of California, San Diego. This position does not require Senate confirmation and the compensation is $159,792. Just is a Republican. Marci Baker, 54, of Clovis, has been appointed to the Collateral Recovery Disciplinary Review Committee. Baker has been general manager at AOC Adjusters Fresno LTD since 1986. She is a member of the American Recovery Association and the California Association of Licensed Repossessors. This position does not require Senate confirmation and the compensation is $100 per diem. Baker is a Republican. Albert Martinez, 42, of Escondido, has been appointed to the Collateral Recovery Disciplinary Review Committee. Martinez has been president and chief executive officer at Challenge Recovery Inc. since 2010. He is a member of the California Association of Licensed Repossessors. This position does not require Senate confirmation and the compensation is $100 per diem. Martinez is registered without party preference. Carrie Valente, 32, of Los Angeles, has been appointed to the 51st District Agricultural Association, San Fernando Valley Fair Board of Directors. Valente has been an agriculture teacher at Canoga Park High School, Los Angeles Unified School District since 2012. She was an agriculture teacher at Central West High School, Central Unified School District from 2010 to 2012. Valente is a member of the South Coast Region Agricultural Education Consortium Advisory Committee. This position does not require Senate confirmation and there is no compensation. Valente is registered without party preference. Larry N. Pangilinan, 54, of Fontana, has been appointed skilled nursing facility administrator at the Veterans Home of California, Barstow. Pangilinan has been executive director at Height Street Skilled Care since 2015. He was administrator at Ojai Gardens Nursing Center from 2013 to 2015 and director of operations at Golden Cross Health Care from 2011 to 2013. Pangilinan was director of operations at Affiliated Care Services from 2006 to 2011 and assistant administrator at Cloverleaf Healthcare from 2005 to 2006. He was administrator-in-training at Longwood Manor and Rehabilitation Center in 2005, school administrator at the California Career Development Association from 1997 to 2005 and administrator at Cal Care Staffing Services from 1995 to 1997. Pangilinan was director of marketing at RN Home Health Services Inc. from 1994 to 1995, service area supervisor for associated students at the University of California, Los Angeles from 1988 to 1994 and an aviation handler class E-4 for the U.S. Navy’s Naval Air Station North Island from 1984 to 1988. He is a member of the California Association of Healthcare Facilities. This position does not require Senate confirmation and the compensation is $118,008. Pangilinan is a Republican. Jay S. Caddell, 54, of La Mesa, has been appointed skilled nursing facility administrator at the Veterans Home of California, Yountville. Caddell has been administrator at Mount Miguel Covenant Village since 2007. He was a health care consultant at Manos Banbury Corporation from 2006 to 2007. Caddell was administrator at the Remington Club from 2006 to 2007 and at Paradise Hills Convalescent Center from 1986 to 2006. He is a member of Leading Age California. This position does not require Senate confirmation and the compensation is $137,976. Caddell is a Republican. Samuel Chiu, 30, of Upland, has been appointed deputy director of communications at the Governor’s Office of Business and Economic Development (GO-Biz). Chiu has served as associate director of communications at the California Natural Resources Agency since 2015. Chiu served in several positions in the Office of the Governor from 2010 to 2013, including assistant press secretary, press aide and executive fellow. He earned a Master of Public Policy degree from Stanford University. This position does not require Senate confirmation and the compensation is $105,000. Chiu is registered without party preference. Edith D. Balbach, 64, of Palm Springs, has been appointed to the Tobacco Education and Research Oversight Committee. Balbach has been a professor emeritus of public health and community medicine at Tufts University since 2014, where she was a professor from 2012 to 2014 and senior lecturer in community health from 1998 to 2012. She was an assistant research policy analyst at the University of California, San Francisco from 1997 to 1998. Balbach was a visiting lecturer at the University of California, Berkeley School of Public Policy in 1997 and at San Francisco State University in 1996. She was an adjunct assistant professor at the University of Southern California, School of Public Administration from 1995 to 1999. Balbach held several positions at the University of California, Berkeley from 1988 to 1992, including assistant editor, research assistant and graduate student instructor. She was an assistant university librarian for administrative services at the University of Illinois at Chicago from 1984 to 1987, where she was executive assistant to the university librarian and director of personnel from 1978 to 1984. Balbach is chair of the California Tobacco Related Disease Research Program, Scientific Advisory Committee and a member of the American Nonsmokers’ Rights Foundation. She earned a Doctor of Philosophy degree in public policy and a Master of Public Policy degree in public policy from the University of California, Berkeley School of Public Policy and a Master of Science degree in library science from the University of Illinois. This position does not require Senate confirmation and there is no compensation. Balbach is a Democrat. Nicholas Avdis, 43, of Sacramento, has been appointed to the Capitol Area Development Authority, in conjunction with the California Department of General Services. Avdis has been of counsel at the Thomas Law Group, Sacramento since 2013. He held several positions at the Law Offices of Lo Duca and Avdis, LLP from 2004 to 2013, including partner, senior associate and associate. Avid was a corporate counsel at KT Development Corporation from 2003 to 2004. He earned a Juris Doctor degree from the University of California, Davis School of Law. This position does not require Senate confirmation and there is no compensation. Avdis is a Democrat. Lilia Larin, 60, of Chula Vista, has been appointed to the Dental Board of California. Larin has been owner at Lilia Larin DDS Inc. in San Diego since 1992. She was owner at Lilia Larin DDS Inc. in San Diego from 1995 to 2007, an associate at Professional Dental Services from 1989 to 1992 and a registered dental assistant at Mission Valley Dental Group from 1984 to 1989. Larin is a member of the California Dental Association, San Diego County Dental Society, Hispanic Dental Association, American Dental Association, San Diego County Dental Association, Academy of General Dentistry, American Association for Women Dentists, American College of Dentistry, MANA de San Diego and Damas Latinas de San Diego. She earned a Doctor of Dental Surgery degree from Universidad Autónoma de Baja California. This position does not require Senate confirmation and the compensation is $100 per diem. Larin is a Democrat. Rosalinda Olague, 28, of Rancho Cucamonga, has been appointed to the Dental Board of California. Olague has been regional back office manager and registered dental assistant at Pacific Dental Services since 2015. She was lead assistant and registered dental assistant at Pacific Dental Services-Monet Dental Group from 2008 to 2015. This position does not require Senate confirmation and the compensation is $100 per diem. Olague is a Democrat. Joanne Pacheco, 58, of Fresno, has been appointed to the Dental Board of California. Pacheco has been director of the Dental Hygiene Program at Fresno City College since 2017, where she has held several positions since 2000, including academic chair, full-time faculty and allied health chair. She has been a registered dental hygienist in private practice since 1985. Pacheco was a registered dental assistant in private dental practices from 1979 to 1985. She is a member of the American Dental Hygienists’ Association and the California Dental Hygienists’ Association. Pacheco earned a Master of Arts degree in organizational behavior from Alliant International University. This position does not require Senate confirmation and the compensation is $100 per diem. Pacheco is a Republican. James Yu, 60, of Fremont, has been appointed to the Dental Board of California. Yu has been a dentist at James K. Yu DDS since 1984, where he has been an acupuncturist since 2008. He has been a radio talk show host at AM 1450 since 2000 and radio talk show president and owner at the Chinese Today Radio Station since 2015. Yu is Bay Area leader of Medical Services International and a member of the American Dental Association, California Acupuncture Association, San Francisco Dental Society, Application of Acupuncture in Dental Practices, Northern California Chinese Media Association, San Francisco Chinatown Salvation Army, American Association of Chinese Medicine and Acupuncture and the American Society of Chinese Medicine. He earned a Doctor of Dental Surgery degree from the University of the Pacific School of Dentistry and a Master of Science degree in acupuncture from the University of East-West Medicine. This position does not require Senate confirmation and the compensation is $100 per diem. Yu is a Republican. Erland K. Andersen, 75, of Cottonwood, has been appointed to the California State Independent Living Council. Andersen was a rehabilitation teacher and counselor at the Vision Resource Center from 2003 to 2008. He was a social worker at Dignity Health Golden Umbrella from 1995 to 2003 and a program coordinator and group facilitator at Easter Seals from 1990 to 1992. Andersen earned a Master of Science degree in agency counseling from the University of Nebraska Omaha. This position does not require Senate confirmation and there is no compensation. Andersen is a Republican. Ligia P. Andrade Zuniga, 37, of San Mateo, has been appointed to the California State Independent Living Council. Andrade Zuniga has been a director of sexuality and disability education at Sexability and an independent advocate for reproductive health for disabled women of color since 2013. She was a coordinator of the Stepping Stones Program at the Silicon Valley Independent Living Center from 2010 to 2012. Andrade Zuniga is a member of the San Mateo County Health Commission, San Mateo County CalMedi Connect Advisory Committee, San Mateo County Public Authority Advisory Committee, Center for Independence of Individuals with Disabilities Board of Directors and the San Mateo County Commission on Disabilities. She earned a Master of Public Administration degree in public administration from Notre Dame de Namur University. This position does not require Senate confirmation and there is no compensation. Andrade Zuniga is a Democrat. Carole Goldsmith, 53, of Fresno, has been reappointed to the California Partnership for the San Joaquin Valley, where she has served since 2012. Goldsmith has been president at Fresno City College since 2016. She held several positions at the West Hills Community College District from 1998 to 2002, including president, vice chancellor of educational services and workforce development and director of strategic planning. She was vice principal III at the César E. Chávez Adult Education Center from 1999 to 2003. Goldsmith served as adjunct faculty and director of faculty training at the Bakersfield, Visalia and Fresno campuses of San Joaquin Valley College from 1998 to 1999. She was a teacher for the Washington Colony Elementary School District from 1996 to 1998, an instructor at California State University, Fresno from 1995 to 1998, adjunct business faculty at the Heald College Schools of Business and Technology from 1995 to 1996 and program director at Social Vocational Services in Visalia from 1991 to 1993. Goldsmith is a member of the Task Force on Workforce, Job Creation and a Strong Economy Board of Governors. She earned a Doctor of Education degree from the joint doctoral program offered by California State University, Fresno and the University of California, Davis. This position does not require Senate confirmation and there is no compensation. Goldsmith is a Democrat.